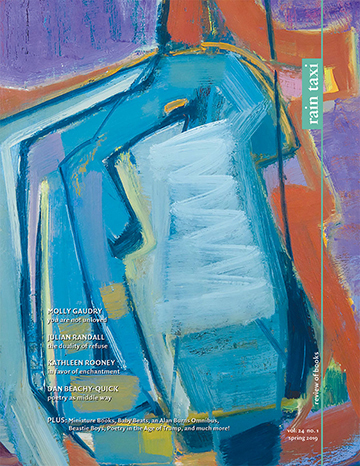 This debut novel includes themes such as whether we exist and how we know we exist; the role of art in documenting existence; predestination and the nature of freedom; Taoism and the Mayan view of Time. Moreover, it’s a novel with many erudite allusions in which the protagonist thinks constantly about herself. Such a novel will surely either be pretentious, solipsistic, and insufferable, or else a brilliant tour de force. 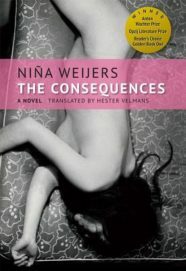 Happily, Niña Weijers’s The Consequences is the latter; this novel is a true must-read, and Weijers is an author all literate readers should discover. 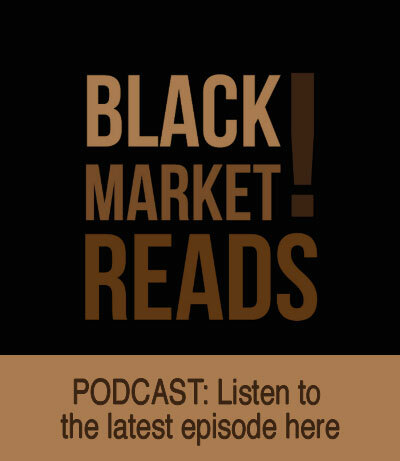 Structurally, the novel is traditional enough, making use of foreshadowing and suspense. Who would not be hooked by the first words? “The day Minnie Panis vanished from her own life for the third time . . . ” It’s not just the vanishing that intrigues, but the fact that it’s for the third time; immediately we want to know about all three occasions. And on just the second page of the Prologue we have this cliff-hanger: “You may wonder why Minnie deliberately stepped out onto the thin ice at around two o’clock that afternoon, and stood there as it gave way, only slightly startled.” Yes, we certainly do! Most of the action takes place in 2012, when Minnie spends an ill-considered night with one of her lovers, a photographer. Weeks afterwards, she finds herself in the pages of Vogue, nearly naked: the photographer has taken pictures of her while she was asleep. Furious but intrigued, she confronts him, and he offers her half his fee. She accepts, on condition that she pay him the fee, and he spend three weeks following her and photographing her. Reluctantly, he agrees. Neither may contact the other until the photographs are in Minnie’s hands, although they do spend a drunken and lustful night together after signing the contractwhich has, as the book’s title portends, consequences. On the one hand, then, the reader wonders, as Minnie does, where the photographer is all the time, and what he is doing, and whether love will blossom from all this; on the other, of course, it’s an enquiry into the relationship between life and art, between reality and representation. The novel manages to lampoon the pretentiousness and silliness of the contemporary art world, at least its unintelligible criticism, but also, perhaps amazingly, to give us a real appreciation of the significance of conceptual art, for instance that of Marina Abramović (who makes a cameo appearance). At a deeper level, it’s a philosophical novel of an existentialist bent, which explores what it means to live in full consciousness of the moment. Camus is explicitly alluded to, but it’s really more Nietzschean, in that the narrator concludes that everything that happens is predestined—that our lives are the consequences of every event that has occurred hitherto. Even so, there may be a glorious freedom in life: not the freedom of action (the freedom the typical western novel takes as its premise) but the freedom of letting go, as the Tao Te Ching puts it. Numerous sub-plots are woven into the weft: one involving Minnie’s distant but dutiful mother, for instance, and one in which an eccentric doctor who treated Minnie soon after her premature birth, and again at age seven (when she stole four men’s wallets, one of which just happened to belong to her absent father), and who then reappears at a critical moment in her adult life and has a decisive effect on it. A Kundera-like essay is intertwined in the narrative too, about a Dutch performance artist who was lost at sea, perhaps by design. Masterfully fusing these seemingly disparate strands, The Consequences is an astonishing book, shimmering with wit, wisdom, and beauty. This entry was posted in Uncategorized and tagged Fall 2017 on November 2, 2017 by Kelly.